Apple has announced an August 16th grand opening date for its new retail store located within the World Trade Center complex in Lower Manhattan. 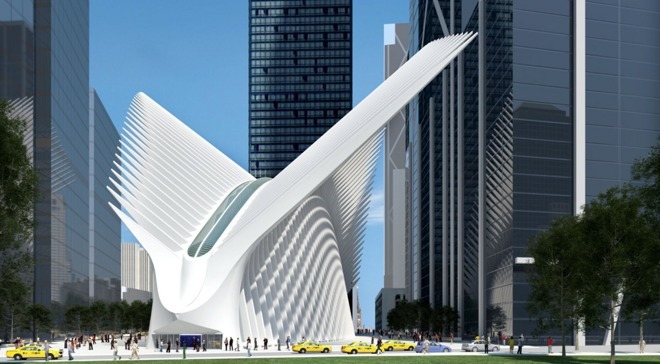 First confirmed over two years ago, the new WTC Apple Store is located within the dramatic, $4 billion Oculus structure designed by Santiago Calatrava. The building serves as retail mall and an extravagant connection between the underground station for PATH trains arriving from New Jersey and the local New York City subways. The breathtaking expense of the structure, built near the site of the original WTC twin towers destroyed in a terrorist attack in 2001, has festered as a subject of controversy. Apple--along with other retailers--also reportedly took issue with some of the design elements of the building, including the rib-like columns that extend into the retail space of tenants within the mall, obscuring windows and signage. However, Apple has a deep affection for locating its retail stores in prime locations, often within dramatic, historic or otherwise spectacular or noteworthy buildings. 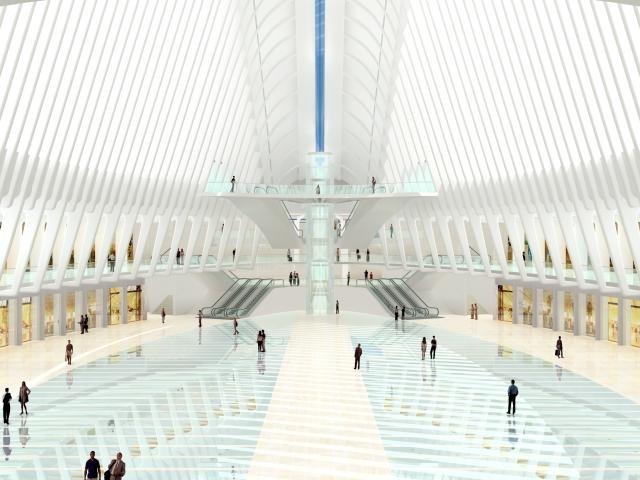 In addition to being a landmark located at a famous site, the Calatrava Oculus structure is also a high foot traffic node for Manhattan's commuters, another key feature that captures Apple's attention in looking for potential retail sites. The new store will join seven other Apple Store locations in the heart of New York City, including the SoHo store just 1.5 miles (2.4 km) north of the new WTC site; a West 14th store in the Meatpacking District; the Grand Central Terminal location; the landmark Fifth Avenue Cube; Upper West Side and Upper East Side stores straddling Central Park; and a recently opened Brooklyn location just 3 miles (4.8 km) to the west across the Williamsburg Bridge. Within about a 25 mile radius of New York City, Apple also has stores on Staten Island and in Queens, two stores on Long Island, one in Yonkers and six other retail stores across the Hudson River in New Jersey, easily making the city the most densely packed collection of Apple Stores outside of San Francisco and Los Angeles.